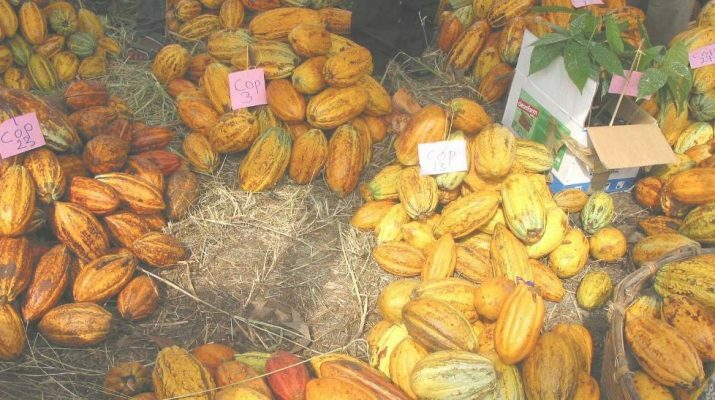 The farmers’ anger is triggered by continues falling prices despite increasing expenses on maintenance in cocoa campaign last year that left most of the farmers in debts. 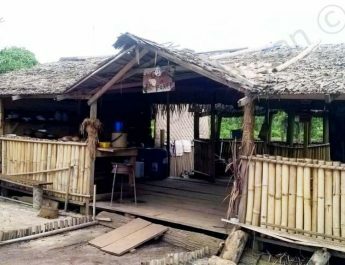 Insecurity due to clashes between security forces and separatists fighters has also caused thousands of cocoa farmers into bushes or towns. During peak season in the 2017 campaign a kg of coco sold between 600-750 francs depending on the quality and where the farmer was. Worst of all, most of the buyer’s, even regular cooperatives took the cocoa on credit, delivered in Douala before paying the farmers given the uncertainty around cocoa marketing through out the season. 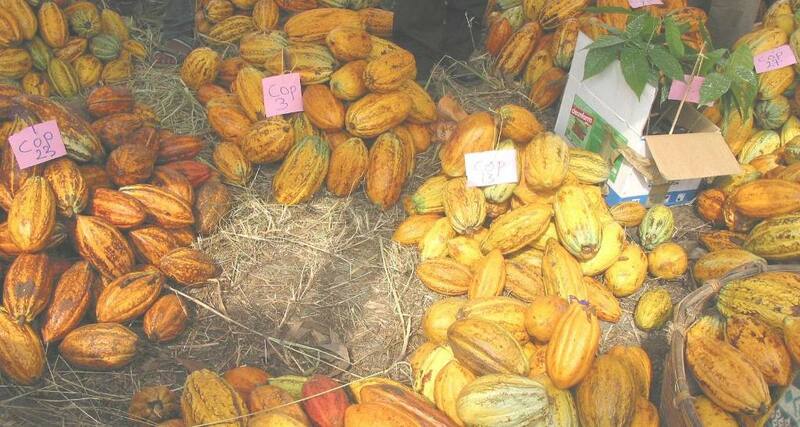 Apart from low prices, farmers had to wait sometimes for up to a month before receiving money for the cocoa they sold. “If this cocoa were coco yams, maize or plantains I would have sold them in the local market. Now, I don’t know what to do after refusing to sell for 600 francs a week ago with the hope that prices will increase in December. Prices are either going down, my next step is to kill the thing and go in for my food crops,” Ebule Samuel, a cocoa farmer in Essam, near Konye told TFV. Farmers say buyers had attributed the falling prices on international market prices which they put at just above 1000 francs in December 2017. 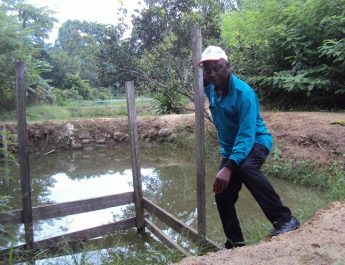 Due to sociopolitical problems in the two anglophone regions, many farmers abandoned their farms. While those in least affected areas confirm some little improvement in cocoa prices, farmers in the most part have abandoned their villages. Many now live in the bushes unable to maintain their cocoa farms. Some of the displaced farmers told TFV in Kumba that last year was a drop in prices but the worsening crises means production is likely to drop especially as many farmers are discouraged. “At the beginning there were signs that production will be good but with the escalation of the crises, it is clear production will drop because farmers have not maintained their farms”, Asek Zachee Ojong, the Manager of KONAFCOOP, one of the because cocoa production cooperative in Cameroon told TFV in Kumba. Grappling with insecurity in the area and the complete burning down of their homes, most of the farmers have either moved into makeshift huts in bushes or left for saver areas. The cocoa farmers in this area described as one of the bastions of cocoa production in Cameroon risk not making anything out of their farms this year. 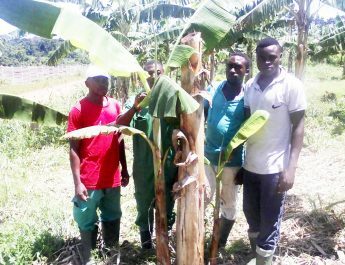 Though they faced only the problem of prices last year, some of the farmers are likely not to harvest half of what they got last year, some farmers told TFV in Muyuka recently. “We followed the cocoa production guidelines of harvesting, fermentation and drying as required by government but 2017 was a very sad year for cocoa farmers here,” Amin Maurice a large scale Cocoa farmer in Munyenge told TFV. On phone last month, Amin Maurice regretted that last year was better because they were living in their homes when the cocoa prices dropped. To the experienced cocoa farmer and retired teacher, 2018 is worst given that farms have been abandoned as farmers flee for their safety.